The Sisters of the Holy Family of Nazareth came to Grodno in September 1908 at the invitation of the Archbishop of Vilnius Edward Ropp. They were to take over the Church and the monastery of the Bridgettine Sisters and to start apostolic work. Sr. Stella Mardosewicz with girls from the school in Nowogrodek. In 1914 the novitiate in Grodno was established. In 1915, at the time of German occupation in Grodno, the Sisters received permission to open the school, which they ran until 1939. On September 4, 1929 they also came to Nowogrodek, in present-day Belarus. The Sisters took care of the Transfiguration Church known as the “White Rectory”, ran the boarding school. After the outbreak of World War II, the Congregation decided to withdraw the youngest Sisters from Grodno (including the novices) and send them to Vilnius. As it later turned out, Vilnius was not a safe place for them. In June 1941 the Sisters were deported to Siberia. 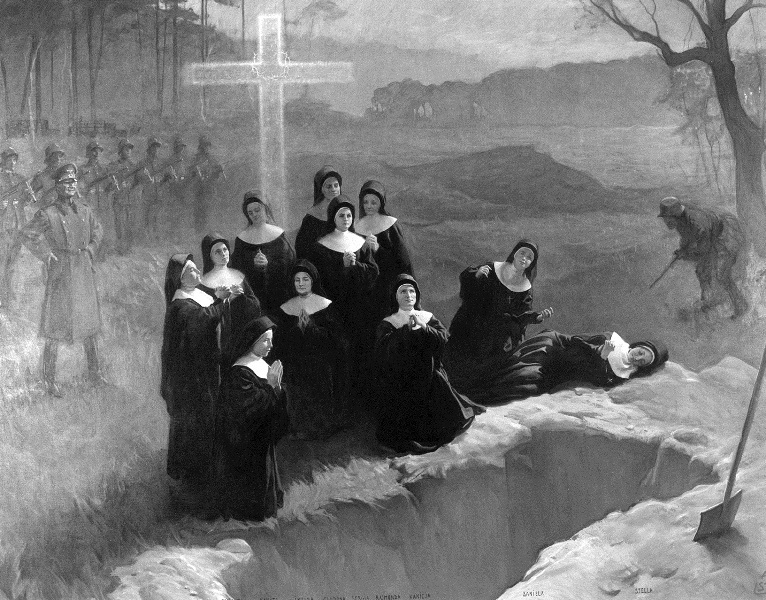 Martyrdom of the Nazareth Sisters; painting by Adam Styka. In 1941 the situation changed again at the front and the German terror escalated. In 1942 thirteen Sisters were arrested in Grodno, but soon released. The special event in the history of the Congregation in the territory of present-day Belarus, is the execution of the eleven Sisters of Nowogrodek by the Gestapo. It happened in the morning of August 1, 1943. From the very beginning, the opinion of the local population was, that the Sisters offered their lives in sacrifice for their brothers. They had been praying for the freedom of imprisoned fathers of families and for the safety of their chaplain Fr. Aleksander Zienkiewicz. The beatification process of the eleven Martyrs of Nowogrodek was crowned with their beatification in Rome in the year 2000. Servant of God, Sr. Malgorzata Banas, standing at the place of martyrdom of her Sisters. After the end of World War II due to the change of boundaries, Grodno became part of the Belarus Socialist Soviet Republic. Some of the Sisters left for Poland. The other nine Sisters, who chose to stay in Grodno were virtually cut off from the rest of the Congregation. They struggled, at whatever cost, to protect the monastery and the Church. Unfortunately, in 1950 escorted by the militia they were forcibly moved to the little house near the church. The church was changed into a storage place and the monastery into a psychiatric hospital. More Sisters returned to Poland and only four remained in Grodno. 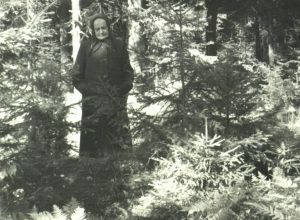 A brave Sister that survived the community execution in 1943, Sr. Margaret Banas, remained in Nowogrodek to guard the “White Church”. Her beatification process is under way at the Congregation for the Causes of Saints in the Vatican. 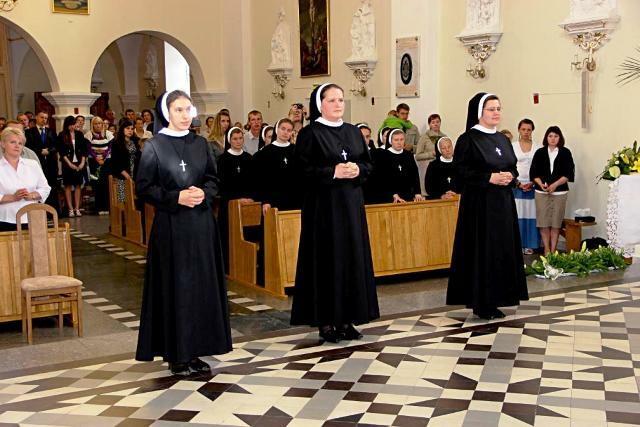 The solemnity of the Perpetual Vows in the Sisters’ Church, Grodno, 2012. In 1965 Cardinal Stefan Wyszynski granted permission for the secret acceptance of new candidates, provided that the Congregation would provide them with the appropriate formation. 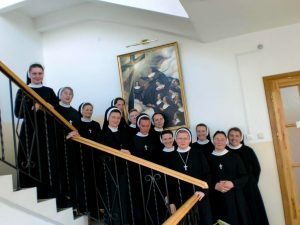 The Sisters in Grodno remained under the direct care of the Holy Name of Jesus Province in Warsaw. Any contacts with the Congregation were hampered or held secretly. Between the years 1965-1989, fifteen candidates were accepted into the Congregation. The Sisters worked in the State-owned establishments, didn’t wear religious habits or live in community. However, they met from time to time, kept their vows and relied on their superior’s decisions. In addition to their normal work for the State, they ministered to families and took care of the parish church in the locality where they resided. M. Jana Zawieja, the General Superior, with the first Provincial Administration and the Superiors of the Belarusian Province. In 1990 relative freedom was established in the country. At that time the last of the officially registered Nazareth Sisters died. At her funeral “the undercover Sisters” appeared in their habits for the first time. In the same year the Sisters were given the keys to the Church in Grodno which had been previously closed down. An opportunity finally appeared for an official arrival of Sisters from outside Belarus. Sisters came from Poland to help with the rebirth of religious life. In 1992 the consecration of the Catholic Church in Grodno took place, as well as the opening of the novitiate for local vocations. In 1994 the Congregation of the Sisters of the Holy Family of Nazareth obtained a legal status as a religious organization. Along with the influx of candidates and the possibility of consistent religious formation, the Sisters began to think of opening new ministries. Soon the Sisters became actively involved through catechetics and charitable activities. The systematic development of the Congregation in Belarus allowed for the gradual preparation of a new administrative entity separate from the Warsaw Province. In September 2008, on the 100th anniversary of the arrival of the Sisters in Grodno, a new Province, the Blessed Martyrs of Nowogrodek, was established. The Provincial Administration was comprised of all Belarussian Sisters. Today the Congregation serves in nine places of ministry: two in Grodno, Nowogrodek, Minsk, Szczuczyn, Budslav, Molodechno, Ivenets and Lida. Two Sisters work at the Apostolic Nunciature in Mins. The Province numbers thirty-seven final professed Sisters and five junior Sisters. And the broadcast of the “Symbol of Faith” completed on the occasion of the 70th anniversary of the martyrdom of the Sisters of Nowogrodek.